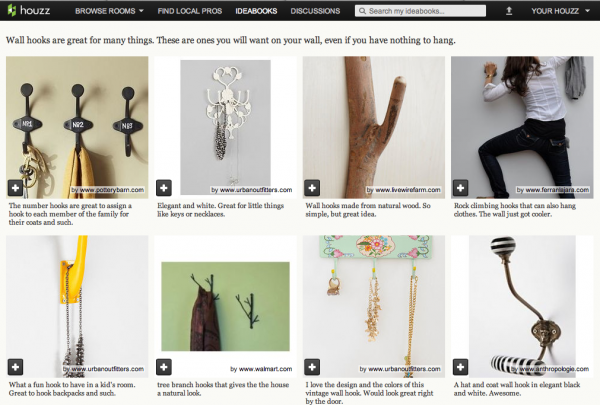 My latest ideabook on Houzz filled with wall hooks that are totally awesome! I have wall hooks around my house – in the laundry room to hang reusable bags, large ones in my closet to hang purses, small ones in my closet to hang necklaces, in the living room to hang framed pictures and so forth. So these are some cool wall hooks you will want to check out!